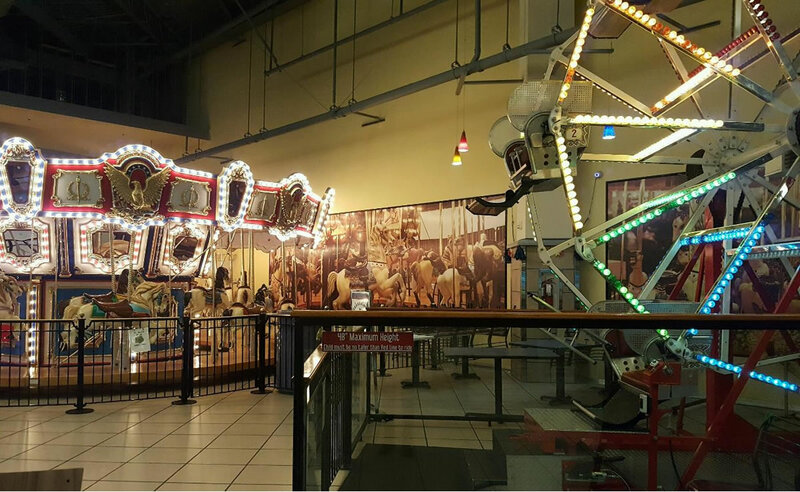 Long Beach Pike – Historic Carousels, Inc.
We are located in the Long Beach Pike Outlet Mall on Shoreline Drive. Look for the 90′ Ferris Wheel between the Comedy Club and Forever 21. 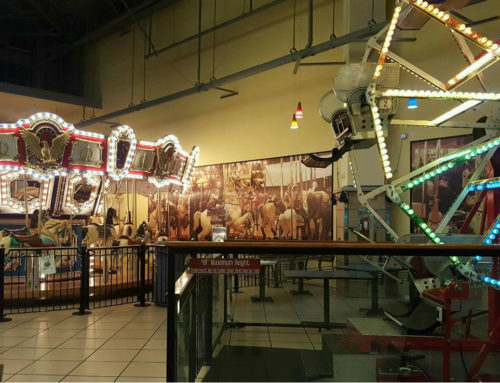 Since 2005, Historic Carousels, Inc., has been operating our 1920 Herschel Spillman Carousel and a 90′ Ferris Wheel at The Pike at Long Beach , CA. 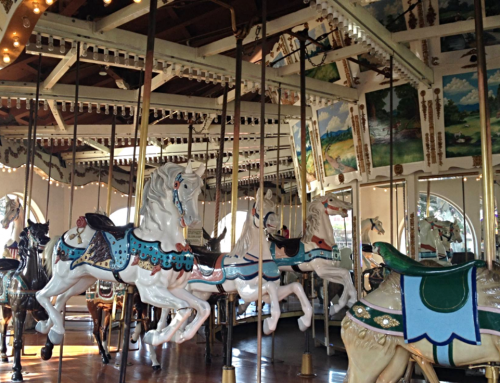 This Herschel Spillman Carousel is a classic wood carousel built in 1920. It is a portable 3-row machine with 30 Jumping Horses and 2 Chariots (The Uncle Sam and Mother Goose Chariots). It first operated in a carnival until it was moved to an amusement park in New Hampshire where it ran until 1984. From 1990 – 1996, it operated at the Independence Center Mall in Missouri. 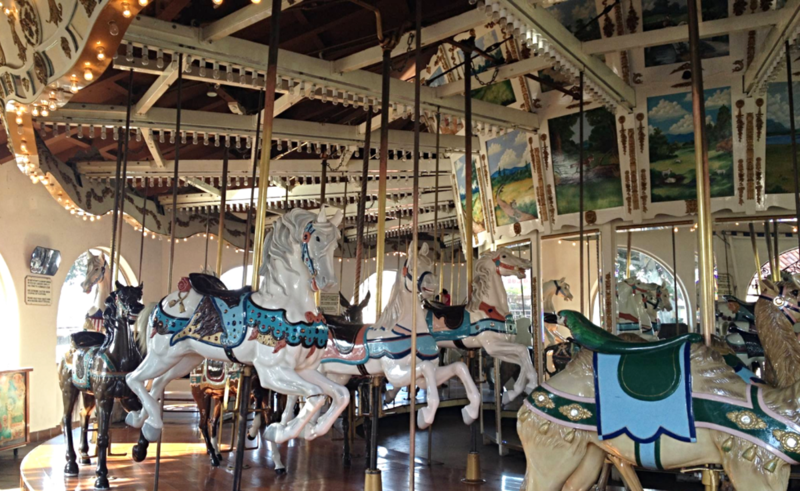 In 1998, this Spillman Carousel moved to Santa Barbara for a year, followed by a six-year rest in Mount Hood, Oregon. It made its final move in 2005 to The Pike at Long Beach, where it operates today. Along with the Spillman Carousel, Historic Carousels, Inc. operates a 90′ Ferris Wheel that has the best views of the city and ports of Long Beach, CA. This Chase Manufactured Giant Wheel has 20 Gondolas that hold up to six passengers each. Make sure to take a ride during sunset…just beautiful! It also has a fantastic view of the Queen Mary across the other side of the harbor. The Pike is a fantastic outlet mall with designer fashion from H&M, Gap, Nike, Forever 21, Converse, and more. Next to the Ferris Wheel is the Cinemark Movie Theater with lounge recliner seating. 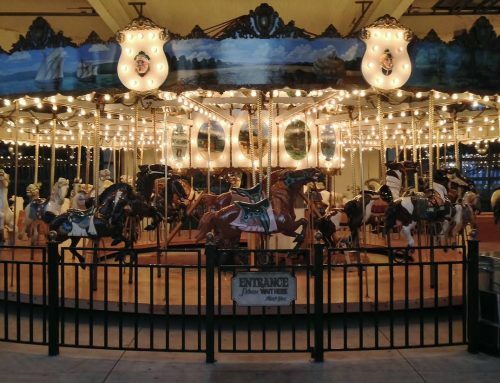 After riding the Spillman Carousel and Ferris wheel, enjoy some amazing restaurants like Auld Dubliner, Islands, and California Pizza Kitchen. Our location is a direct neighbor of the famous, Laugh Factory Comedy Club. 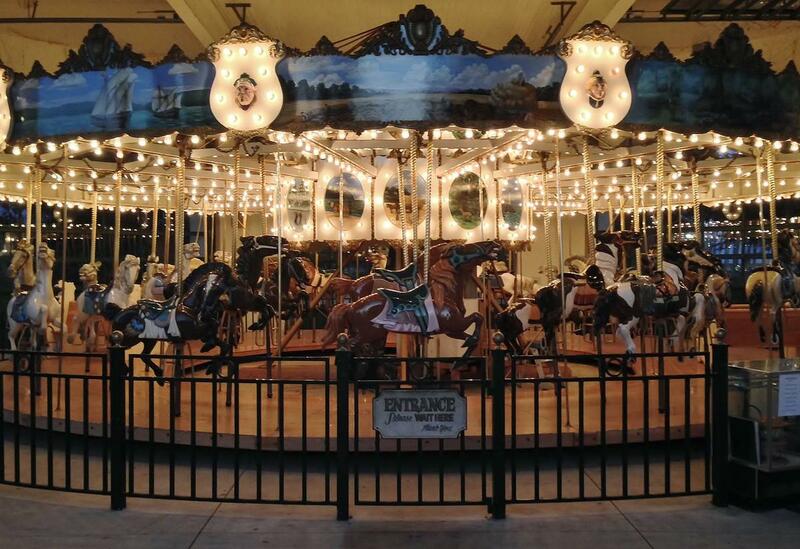 Our rides at The Pike make for a great date night or family night out!